Learning with smart phones is a rather new concept that is receiving ongoing attention in the 21st century. Literature to date has shown that smartphone technology has the potential to be a learning tool that can be used by students. Although there is research on the use of smartphones to support classroom based learning; there is far less research on more independent andragogical education environments. The results of this study suggest the use of smartphones is a viable option for this type of academic environment. Implications of the results are discussed. This study examines the use of smartphones to complete course work in an Introduction to Computer Applications course. This type of research can advance the philosophical and practical developments surrounding the justification for the pedagogical use for this device in authentic learning. Smartphones provide students with audio, video, camera, internet access, PDA, and networking capability. Students can utilize these capabilities to access lectures, create, save, display and edit text documents, email, and display web content. Although there is no one app that will fit every professor’s teaching needs and research initiatives, several universities have begun to explore the inclusion of the smartphone in their academic instruction (See Table 1). Learning with smart phones is a rather new concept that is receiving ongoing attention in the 21st century. According to the Chronicle of Higher Education (2011), using mobile applications is a cost efficient way to keep students connected and help aid them in their studies. This platform also allows students to pursue their education anytime, anywhere. A survey conducted by Course Technologies’ eText book division Course Smart (2011), found that students can’t go 10 minutes without checking their mobile phones. This suggests that the use of Smartphones is a viable learning alternative to current platforms however; research on the use of smartphones for education is still in its infancy, as users have just recently tapped into the potential of these devices for learning (Kearney, Schuck, Burden, & Aubusson 2012). Literature to date has shown that smartphone technology has the potential to be a learning tool that can be used by students. There have been several studies that focus on the use of smartphones to support classroom based learning (Alvarez, Alarcon, & Nussbaum 2011; Kukulska -Hulme & Shield 2008; Roschelle, Rafanan, Estrella, Nussbaum, & Claro 2010; Zurita & Nussbaum 2007). However, there is far less research on more independent andragogic education environments. As a result, there is a need for research on how learners can take advantage of learning through the use of their smartphones for more self-initiated learning (Gikas 2011). Can Smartphones be considered as an alternative form of hardware to complete the CS105 Course? How transparent would the incorporation of this option be? Should this option be researched in other courses in the university? To begin the study, the researchers reviewed the current curriculum for an Introduction to Computer Applications course. The researchers met to discuss how each assignment was graded in order to make sure there were no discrepancies in the interpretation of the assignment material. The lesson rubrics were used as benchmarks for this research. Each lesson was attempted on smartphones using Android Lollipop 5.1, Windows 8.0 and iOS (Apple) 7.1 operating systems. Since Microsoft Office is the software of choice for the university curriculum, the Android and the Apple phones ran Office 365. The Windows phone ran Mobile Office in order to test all of the software offerings available by the company. Upon completion of the assignments, the researchers critiqued how well the lesson could be completed on each of the phones based on a series of rubrics, designed for the course, by the university. The grades for each of the assignments are provided in the table below (see Table 2). Assignment #1: Investigate and learn more about your own computer. How much system memory do you have (RAM)? Do you have a 32-bit or 64-bit machine? A CPU can process 32 bits of information or 64 bits of information at a time (there are 8 bits in a byte). When you download software from the internet, sometimes there will be one link for a computer that has a 32-bit CPU and another link if it has 64-bit CPU. That is why it is good to know this. What is the size of your hard drive? B) Take a screenshot of the Microsoft Office applications on your machine. In assignment one, bit information could not be retrieved on any of the devices. The researcher using the Android unit was able to find this information by installing an app called Samsung Phone Info. If students are familiar with the processor of their phone, they are able to perform research on the internet in order to provide an answer as well. This suggests that this question would need to be evaluated to determine if it can be omitted, or re-worded so that it is clear to the student that additional resources are needed to locate the answer to the question. Assignment #2 : Create a CS105 folder and then download this sample zip file into the CS105 folder and unzip it there. Then, take a screenshot showing the folder you created with the files within CS105. In one or two paragraphs, explain what the benefit is of folders when working with files. In assignment two, the researcher using the Windows unit was unable to unzip the zipfile provided. The researcher downloaded an additional zipping application, Archiver, to assist with this activity however the application did not function when executed. The researcher using the iOS also experienced issues with downloading the zipfile. Therefore they used a computer to unzip the file and then sent the unzipped file to the cell phone in order to complete the assignment. The Android unit experienced no issues unzipping the file and completed the assignment successfully. Assignment #3: Using a word processing document, open the sample resume and use the formatting tools to make the resume look professional. Include title and heading styles and a bulleted list. Also, use a minimum of three font features like font or font size, bold, italic, and underline (note: bold or italic features due to using a heading style does not count towards this requirement). At least some text should be centered. Feel free to add more ‘qualifications’ to this resume if it would help you use the required features. In assignment three, the heading styles were not available for the Windows unit. Another action that could not be completed in the assignment was centering. 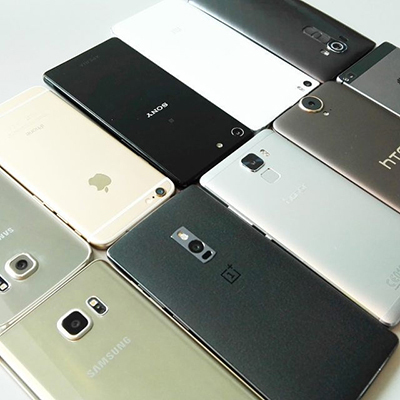 Both the Android and the Apple phone were able to complete the assignment in its entirety. Assignment# 4: You are a member of the elementary school PTA and have been asked to quickly get a newsletter out. A representative of each grade K-5 will be submitting a small piece for the newsletter. You don’t have a newsletter template handy, so you decide to quickly create the newsletter using a table in your word processing application. You will have a header that will be used for the elementary school banner once you receive it. In the meantime, you will type “SCHOOL NEWSLETTER” in a large font in the header or insert a temporary banner. You will have a footer with the PTA contact information. Since there are six grades, you will set up a table of 2 columns and 3 rows with a different background (or fill) color for each row. You also will adjust the rows to fill the page to look like a newsletter. Once you get the submissions, you will be able to copy that information into the cells. In assignment four, header, footer, color fill and table functionality were missing on the Windows device which would make the grade for assignment extremely low. Both the Android and Apple device experienced no issues with these activities. In assignment five, bullets and the ability to insert images were not available on the Windows device. Both the Android and the Apple devices were able to complete the assignment. In assignment six, there was no ability to merge text or center, in the Excel application, on the Windows device. Both the Android and the Apple devices were able to complete this assignment successfully. Assignment #7: This week you will continue to work with the scenario from last week (although don’t worry if you were not able to do the calculations within the spreadsheet). The owner thinks it will be easier to look at sales and profits if charts are used. The owner also wants to identify the products which were not creating as much revenue as the others. In assignment seven the researcher using the Windows unit did not have the ability to include chart titles therefore the Y axis could not be labeled for the assignment. Also, non-adjacent ranges could not be selected, prohibiting the researcher from creating legends for charts where data for non-adjacent ranges need to be included. The conditional formatting requirement could not be performed in Mobile Office or Office 365 therefore, the content associated with this activity, will have to be evaluated to determine the necessity of this concept within the curriculum. Assignment #8: For this project, pretend you're going to go on a trip to visit three places. You should have estimated costs for transportation, hotels, and meals. Create a spreadsheet to calculate the total costs for each item, total cost, and percent of the total used for each item. Be sure to label columns and rows so it is clear what is in your spreadsheet. Also, type in your formulas and use functions to do your calculations. Armed with that information, write a letter to a long lost rich uncle to see if he will fund this much needed trip. The letter should be properly formatted with the date, salutation, and signature. There should be a bulleted list in the letter and also a table which summarizes the costs. You should also create a slideshow presentation to go along with the letter to the uncle explaining the trip plans and the benefits of this trip. The presentation should include images and at least one bullet list. Slide transitions should also be included. Don’t forget about all that you have learned. For instance, you could create a graph or chart and copy and paste it into your presentation if that would benefit your presentation. The trip could be for pleasure or a business venture and in any era past, present, or future. It's up to you to decide that part of the scenario - be creative and have fun! For your submission, zip together the three files, the spreadsheet, the letter, and the presentation, into a file entitled YourLastNameWeek8.zip. Upload this file into the assignment area. Assignment eight was a compilation of the functions that were performed in assignments one through seven. Therefore the lack of functionality that impeded the completion of the first seven assignments also affected the final assignment which was designed to be the capstone project. Because conditional formatting was not listed in the rubric for assignment eight, the Android and the Apple devices were able to successfully complete the assignments for the project. However, the Apple device was not able to zip the assignment files for submission. Since the Android unit appeared to have the least trouble completing the assignments, the researchers decided to review three additional open source software applications, to compare to the Microsoft Office applications, using an Android smartphone. The researchers felt that it was important to identify at least one alternative to Microsoft. The table below (see Table 3) shows the grades for each of the additional applications as compared to the two initial applications. For the first assignment the CPUX application was installed to find system information. The application provided all the system information except the bit size, causing students to lose 15 points and preventing them from being able to achieve an ‘A’ on the assignment. The researcher was able to complete assignments two, three, and four in all of the applications. However in assignment five, the Office Suite 8 application does not offer transitions in the free version of the application. This would cause students to loose points for the assignment. Assignment six was successfully completed but in assignment seven, the researcher discovered that the conditional formatting feature is also a cost to access in Office Suite 8. The researcher also discovered that conditional formatting was not available in Polaris and Word Perfect Suite (WPS). The researcher could not provide a title for a chart or a label for a chart axis in WPS also. The final project required a presentation with transitions which could be completed in all of the applications except Office Suite 8. In the initial research 97% of the assignment could be completed by the smartphone running Android, 81% could be completed by the smart phone running Windows and 89% could be completed by the smartphone running iOS. The data shows that the Windows device was the most difficult to work with when attempting these assignments. This implies that Mobile Office cannot be an alternative to Office 365. However, 100% of the assignments could be completed with Polaris 5 which suggests that this application can serve as an alternative if not a replacement for students who wish to use a smartphone running Android to complete the course. From the results of the study, the researchers conclude that the use of smartphones is a viable option to complete the CS105 course from a curriculum perspective. With minimal re-design to the curriculum, the course could accommodate users who choose to use their smartphones to complete their courses. Students, especially non-traditional students may use this option as an alternative because adult learners may need to travel for business, personal, or military reasons where a computer might not be available. A mobile device could provide a means to access a students’ learning environment without an interruption in their studies. The researchers feel that this alternative would lend itself to other courses found in the university and that this research could be a possible blueprint to help instructors realize the potential of implementation within their courses. Test Polaris 5 on Windows and Apple smartphones. Research Technical opportunities and challenges for the incorporation of smartphones for curriculum use. Perform this study from a qualitative perspective, to gain an understanding of the impact of smartphone implementation on students and Instructors. Analysis of tools in Blackboard to assist in completing tasks such as zip/unzip of assignments. Gikas, J. (2011). Understanding change: Implementing mobile computing devices in higher education (Doctoral dissertation). Retrieved from ProQ uest Dissertations and Theses. Kukulska-Hulme, A. & Shield,L. (2008). An overview of mobile assisted language learning: From content delivery to supported collaboration and interaction. ReCALL, 20, 271-289. 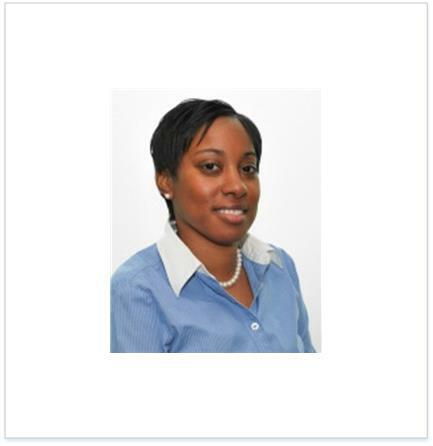 DeShea Simon holds a Master’s degree In Information Systems from Strayer University and a Ph.D. in Information Technology from Capella University. Dr. Simon is passionate about introducing technology to students and finding ways to provide seamless integration of technology into the classroom for teachers. Her research interests are: Information Systems in Organizations, Social Inclusion, Project Management, Database, and System Analysis and Design. Carol Segura has a MS in Management Technology with a concentration in Computer Information from Murray State University. She has been teaching online since 2004 with various colleges and universities. She is currently a full-time instructor with Grantham University. JoEllen Green is a full-time faculty member in College of Computer Science and Engineering. She joined Grantham University in December of 2013. She teaches Introduction to Computer Applications, Java programming language and Systems Analysis and design in the Computer Science department. 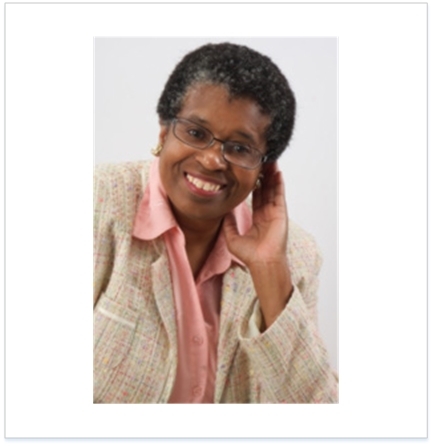 Before working for Grantham University, she taught mathematics and statistics at the college and high school level. She has earned two Master's degrees. One of Master's degree is in Statistics from the University of California, Riverside. The other Master's degree in Information Technology with an emphasis in Enterprise Architectural Design from Capella University. She also holds a Bachelor's degree in Statistics from the University of California, Riverside. Green worked five years as a Pension Actuary and earned the Associates in the Society of Actuaries designation. She also has five years of experience working as a computer programmer before entering the field of teaching. She has been teaching since 2002. Judy Mason has an MS in Information Technology. 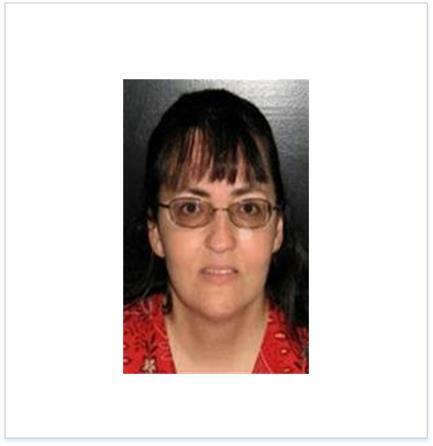 She is a doctoral student in Information Technology Education, Mason has been teaching higher education in an online setting for seven years. Discussion of "Alternatives in Online Learning: A Look at the Smartphones in Online Learning"
Version 38 id 796571 of this page, updated 27 June 2016 by Shalin Hai-Jew. Created by Shalin Hai-Jew.